A renowned art institution is reborn. Founded in 1958, NSU Art Museum is a premier destination for exhibitions and programs encompassing all facets of civilization’s visual history. The Museum is the hub of the South Florida Art Coast, situated midway between Miami and Palm Beach in the heart of downtown Fort Lauderdale, one of the fastest growing areas in the U.S. Its distinctive modernist building, which opened in 1986 was designed by the renowned architect Edward Larrabee Barnes. The museum has a celebrated permanent collection contains more than 6,000 works. The Museum’s international exhibition program, which aims to challenge viewers’ perceptions of the world around them, is overseen by its visionary Director and Chief Curator Bonnie Clearwater, who joined the Museum in 2013. Upon taking the helm, Ms. Clearwater and her team reach out to Fulano to help rebrand the Museum under a new name and revamp its digital presence. They wanted to shed the regional image and position the new institution as an international institution bringing the most blockbuster exhibitions by some of art history’s most celebrated artists. 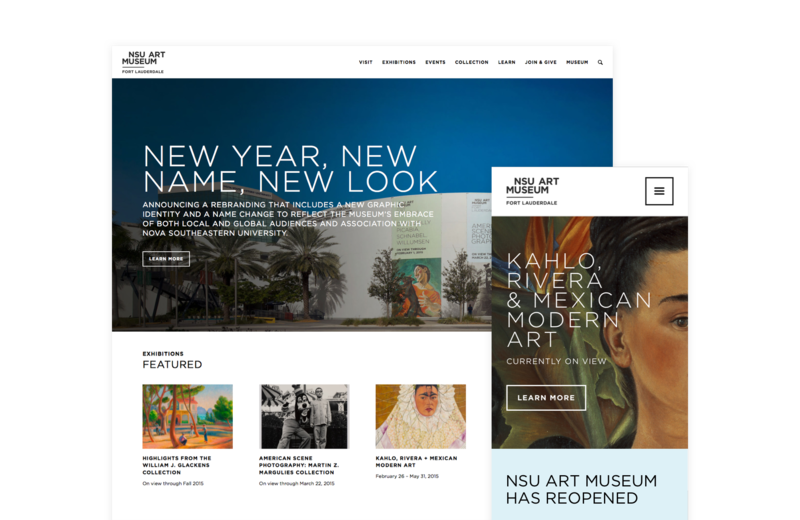 We worked closely with the NSU Art Museum Fort Lauderdale team to design a brand that was modern but embodied the spirit of South Florida. With the new brand as the foundation, the digital including the website was developed to be bold, sophisticated, minimal but user-friendly to all audiences.